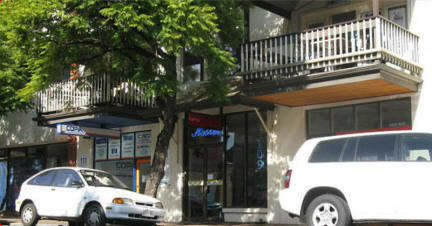 Hostel 109 Flashpackers has Hotel Standard Rooms, the smallest Dorms in Adelaide and a safe friendly Hostel atmosphere. A short walk to anywhere in the Adelaide CBD, 109 is a family owned and managed hostel, with friendly staff and excellent facilities providing a range of options to suit all travellers. A great place to relax, small, secure & centrally located, Hostel 109 is the perfect place for your stay in Adelaide. Once you've checked in, there's loads of free stuff. We offer all our guests free Broadband internet access and fast and fabulous in-room wifi, tea and coffee, laundry powder, supplied linen, ready made beds, heating and air-conditioning, laundry and ironing facilities, a 24 hour modern kitchen, security lockers, unlimited hot water showers, and free baggage storage. Our hostel is fully heated and has refrigerated air-conditioning, so even on a 40 degree day it's a comfortable place to be. Our solar array produces 150% of our power needs so you can be comfortable and know that you’re not hurting the planet. Our guests get discounted beer at the pub 20 metres down the road (Saracens Head) and for variety, there's another two pubs within 50 metres. A stack of restaurants and a 24 hour chicken and Subway takeaways close by mean that even if you don't want to cook, going hungry is hard to do. A vending machine and small shop is located in reception for those last minute must-haves and late night chocolate cravings. We have a variety of room types to offer you. For real luxury, try one of our new (Jan, 2017) Premium Queen Rooms with Private Bathroom. If you are staying in a double room, you can enjoy your own fridge, TV, and King size bed. We also offer single rooms, twin rooms, and 3 and 4 bed dorms. If you are traveling with a friend, for just a few dollars more you can have a private twin room to yourselves. Our kitchen offers two ovens and is well equipped to cook that roast dinner you've been missing, and also a Microwave to heat noodles if that's your preference. And there's plenty of welcoming spaces to sit with a book, or enjoy a drink and eat with old and new friends.